Bye Bye Under Eye Illumination is your highly pigmented concealer with an added touch of radiance. Infused with skin-loving ingredients hydrolysed collagen, hyaluronic acid and antioxidants, this is an under-eye essential for anyone who wants to brighten and conceal the appearance of dark circles and discolouration. 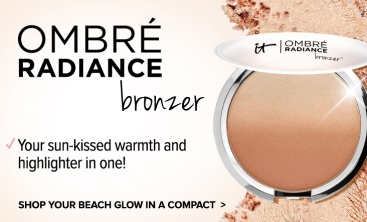 Brightens and conceals the appearance of dark circles and discolouration. Contains skin loving and anti-aging peptides, vitamins, antioxidants, hydrolysed collagen and hyaluronic acid. 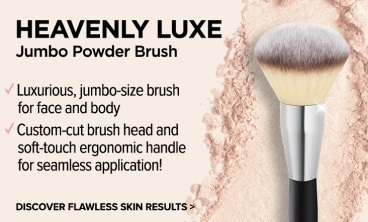 Warm a tiny amount with fingers, tap onto skin and blend using your favorite IT Cosmetics brush. Can also be worn as a foundation. 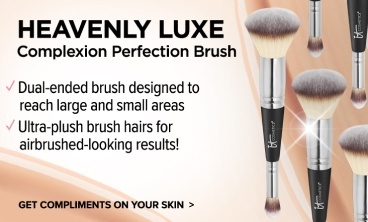 Using your IT Cosmetics Heavenly Luxe Dual Airbrush Concealer Brush, apply Bye Bye Under Eye Illumination to your under-eye area in the shape of a triangle, with the base along your eye and the point toward your cheek. This not only conceals dark circles, but instantly creates the illusion of lift—like you’re shining a light directly underneath your eye! To give your Bye Bye Under Eye Illumination Concealer a beautiful soft-velvet finish, gently dust Bye Bye Pores Pressed over the top to set it! Bye Bye Under Eye Illumination is rated 4.5 out of 5 by 395. Rated 5 out of 5 by Dakota Lady from Fantastic concealer, this is a game changer I bought this a month ago and I am sold. I have very light skin with severely dark circles due to thin skin which was compounded when I went through menopause. 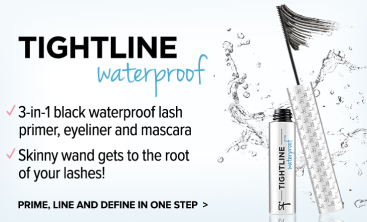 I have tried numerous drug store brands as well as some high end products. None of them covered my circles very well and looked cakey or unnatural. I was super conscious of this fact and hated the process of trying to conceal these unsightly circles. 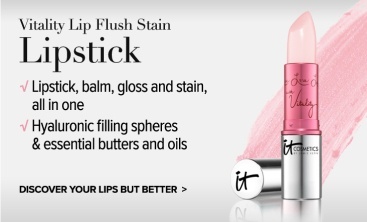 This product is so easy, long lasting, and does a great job of concealing. I feel so much more confident now in feeling that my circles are covered and it looks very natural. Definitely buying again. Another plus, a little goes a long way. 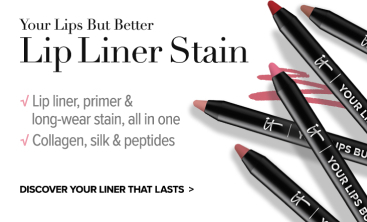 Rated 5 out of 5 by Donnalawbabe from Best under eye concealer ever! 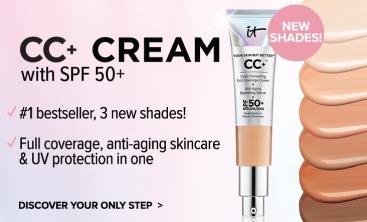 I actually watched an infomercial from IT Cosmetics and I was mostly intrigued with the illuminating under eye concealer. I ordered. Wow is this stuff awesome!! It looks like light is emanating from your face. A teeny dot warmed up on the back of my hand applied with a small brush and blended in makes the rest of my makeup work so much better! Its a little pricy, but in this case, you get what you pay for. 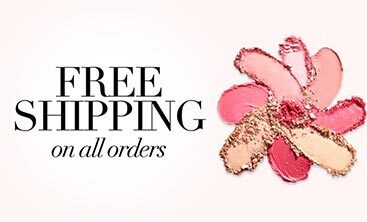 I'm paying for a great versatile concealer that makes my under eye dark circles and bags disappear! I will never use anything else! This is definitely my new favorite. BTW I am 60 years old and my DOCTOR told my husband he thought I looked more like 43. Wow! Rated 4 out of 5 by molbel from Good coverage, nice illumination My favorite way to use this concealer- Squeeze a dab of it onto the back of my hand, then to that add a pump of the IT CC Cream and mix together with my finger (they blend well once the concealer warms a bit). I then apply using foundation brush. The result I get is a little more all-over coverage on the days I need it as opposed to the results using the CC Cream alone. This concealer also adds just a hint of illumination which I love. The concealer is thick, so I found that it doesn't work well for me as a stand alone under eye concealer. Rated 1 out of 5 by TRenee from NOT for Older Skin I have loved every IT cosmetic I have purchased up to now. I am sure this would be great on younger skin that hasn't begun to show signs of aging. At 55 I have fine lines and wrinkles and the Illumination factor in this cream only accentuates those wrinkles. This made sense once I thought about it. They say if you have drywall with imperfections you should never paint with a glossy or semi gloss paint as it will draw attention to those imperfections and make them look worse. The same applies to your face. Aging skin looks much better with a flat (matte) or satin finish. I'm sure this under eye cream would look amazing on younger skin. 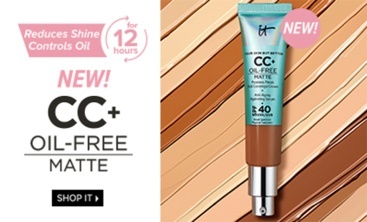 I will have to stick with my CC+ concealer which works great. Rated 3 out of 5 by Love2Bake from Doesn't work for me I have loved all the IT products I've tried so far, but the under eye illumination seems to have a thick consistency that pulls on the delicate under eye skin and it really accentuated the fine lines I have. I was really hopeful that this product would work for me, as I have dark circles and needed something to brighten my under eye area. I will stick with the Bye Bye Under Eye Corrector for now, as it is more moisturizing and has good coverage, even if it doesn't brighten my under eye area. Rated 5 out of 5 by Kristylynn2012 from Great coverage/ not oily I received this product in my Ipsy bag a couple months ago, and was so excited to use it. I wasn't disappointed!! This is probably the first makeup review I have ever left, although I read them religiously before purchasing a product... I was very impressed with the full coverage, and how it lasted all day. 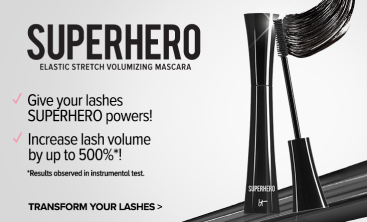 I have dark circles under my eye and this product hid them completely. The only thing I could say that I don't like about this product is how it can be a little difficult to apply evenly due to the thickness... but I use my beauty blender to buff it out. I will definetly be purchasing this product every time I run out. Worth trying for sure!! Rated 5 out of 5 by Oldma11 from Subtle Glow I bought this in the Medium, and had to get the Light instead. In the regular Bye Bye Undereye, the Medium worked as a bit of a highlighter. The illumination Medium os darker, and functions strictly as a concealer. So I use the Illumination Light with a small amount of Illumination Medium to get the same effect. The Illumination adds such a beautiful dewy look, more natural and not so flat. I am pleased with the effect. No creasing, stays put for hours. I am 60 with medium skin and warm undertones, and this matches well. Rated 5 out of 5 by Mace from The best I've tried! I bought this back when it first came out and was not at all impressed at the time. I had been using the original Bye Bye Undereye concealer and decided that I preferred it. Recently, the original formula didn't seem to be covering my dark circles, so brought this one out again to give it another try. I love this formula now! It covers my dark circles completely, seems to give my undereye area a little 'lift' and lasts all day when I use a setting powder with it. A little of this goes a long way, too. Sometimes timing is everything!